The ACH network beginnings can be attributed to various associations forming NACHA in 1974. Rules were established for the various participants operating within the network to comply with. The ACH network began as a batch network and continues as such to this day. The term payment gateway is generally used in connection with credit card processing. Around 1996 it was Jeff Knowles who was supplying merchant accounts to online retailers who were tired of PC software offerings that were available, and certainly didn’t want to key in card data into a stand-alone terminal. He reached out to First Data and obtained their lease-line specs to begin what would be the end result of the first payment gateway, authorize.net. Today, a payment gateway is essentially communication connectivity through internet protocol. 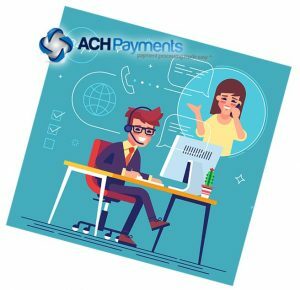 Because the ACH network is a batch network, authorizations that are possible in the credit card world are not possible for ACH transactions. So exactly what advantage can come about from utilizing internet protocol connections for ACH transactions? For security purposes, an ACH processor might have the ability to tokenize the sensitive bank account data. Real-time connectivity allows for an integrated software application to post customer and their associated bank account data and be instantly returned a reference token that replaces the bank account data, thus removing the threat of theft of sensitive data. An ACH processor might maintain a database of known fraudulent accounts or “bad accounts” that are routinely NSF, or closed accounts. Having a real-time notification delivered in these instances can be extremely beneficial to a merchant originator. Ancillary services: Some third party processors take advantage of integrating to services that can be of benefit to originating organizations. For example, there are authentication and verification services that can be called if the processor is integrated. Accounts can be verified to be open or closed and whether they have a positive balance. Even matching names of individuals and businesses to accounts can be authenticated. If the processor has a notification system built into their processing engine, notifications of all sorts can be delivered in near real-time. For example, courtesy emails could be sent to customers of an originator letting them know that they are to be debited for what is their recurring monthly payment that is due. Or, internal employees could be notified of returned items, allowing them to take whatever action they deem fit. An ACH Payment Gateway enhances what is a batch network and makes it more attractive to businesses and organizations who have ACH processing needs. If you require assistance in determining your best options for an ACH Payment Gateway, allow us to be of assistance. 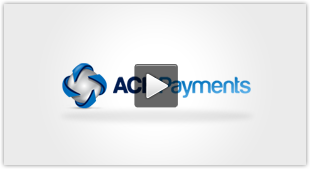 We at ACH Payments have been providing ACH solutions to businesses of all sizes for over 19 years.